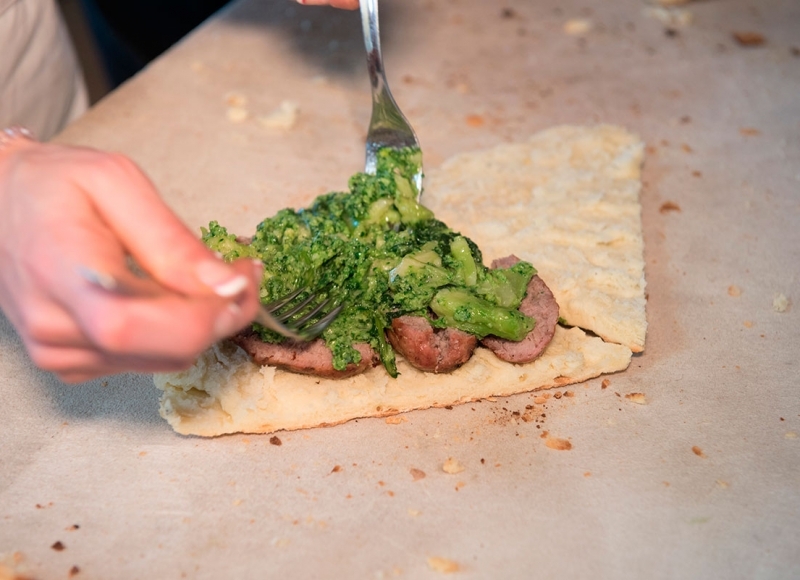 from this combination, it comes out a special bread which is warm, crunchy and soft at the same time, with a superior flavour, filled with thousand different tastes and many products directly from Luca’s vegetable garden! Our torta is a healthy, tasty and unadulterated product. The “Torta d’la Maria” is the best ever! 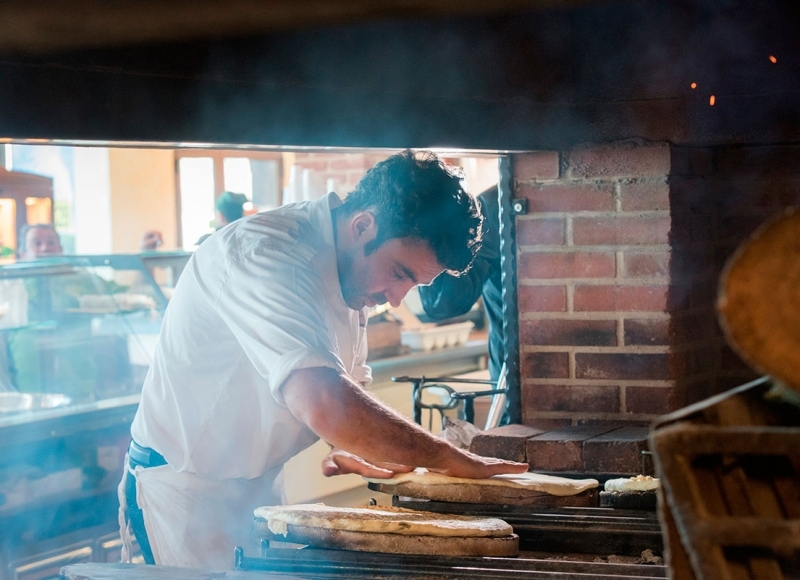 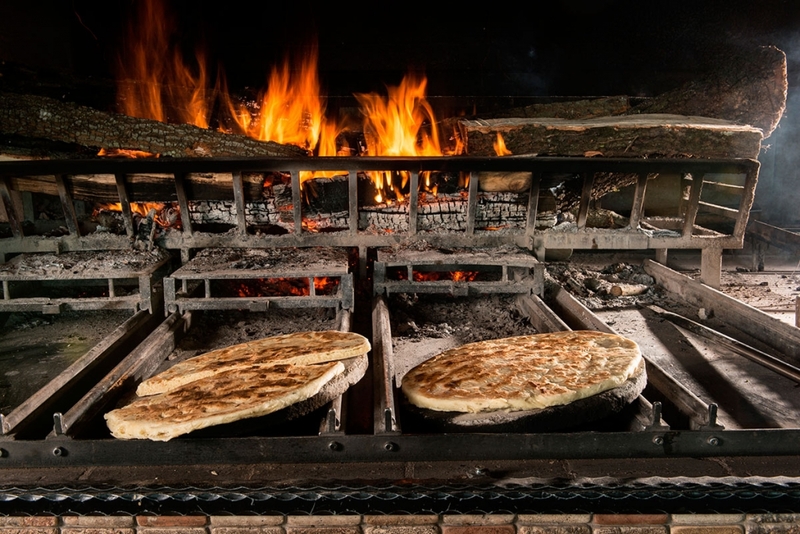 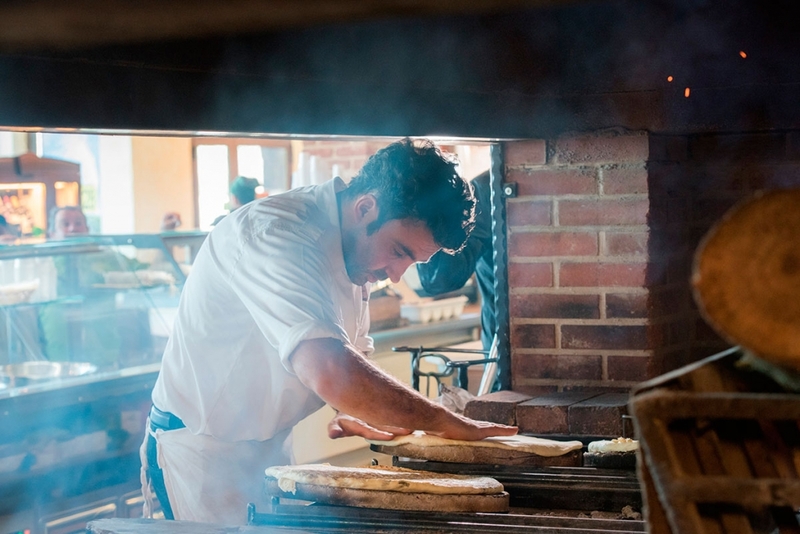 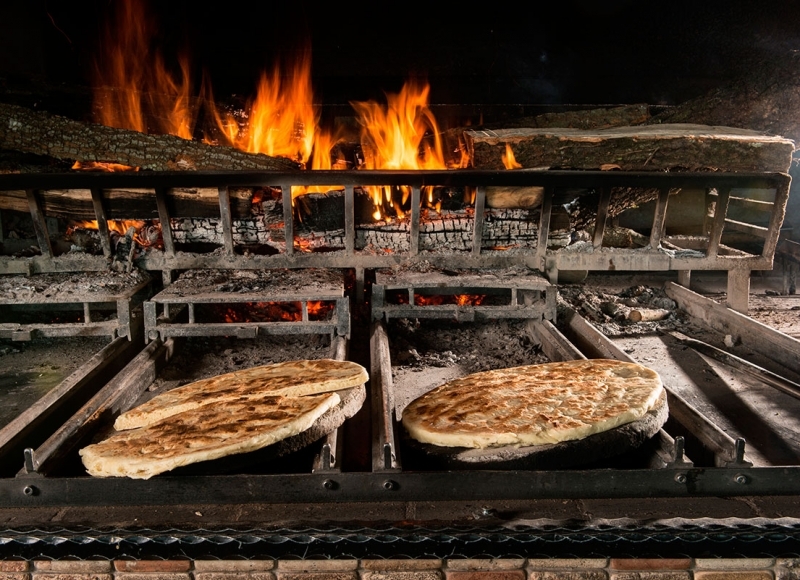 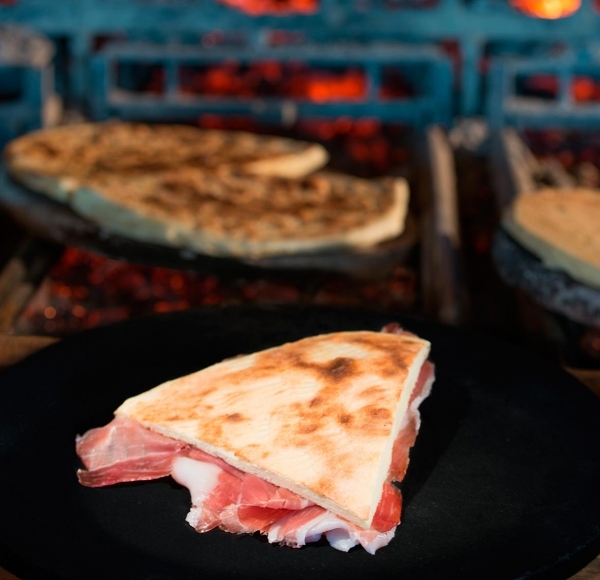 Fire, testo, firewood and high-quality flour: from this combination, it comes out a special bread which is warm, crunchy and soft at the same time, with a superior flavour, filled with thousand different tastes and many products directly from Luca’s vegetable garden! 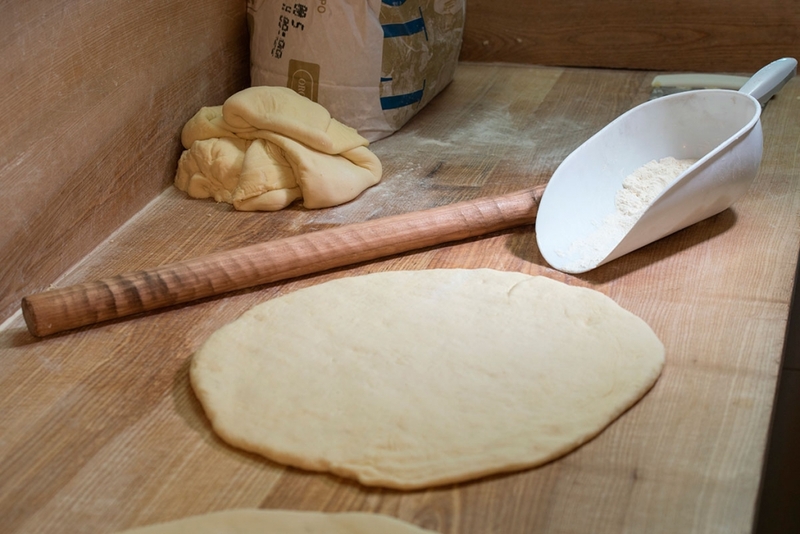 It takes a few, natural ingredients for the preparation: flour, water and salt. 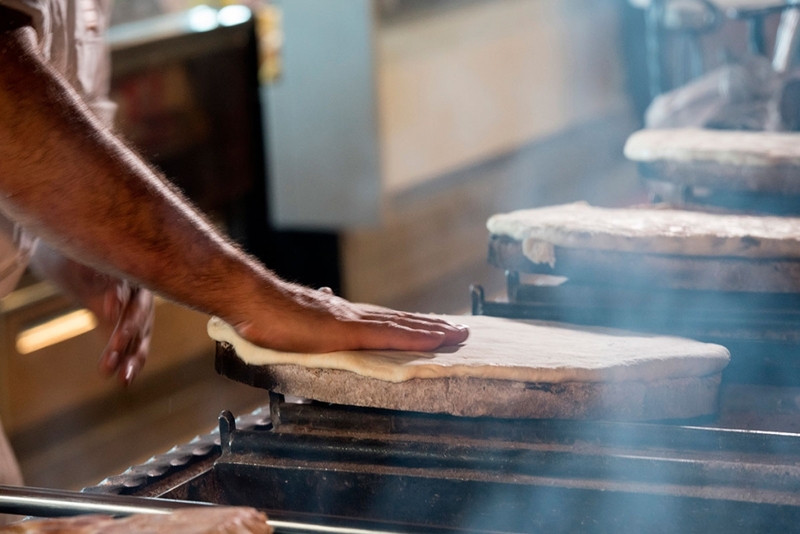 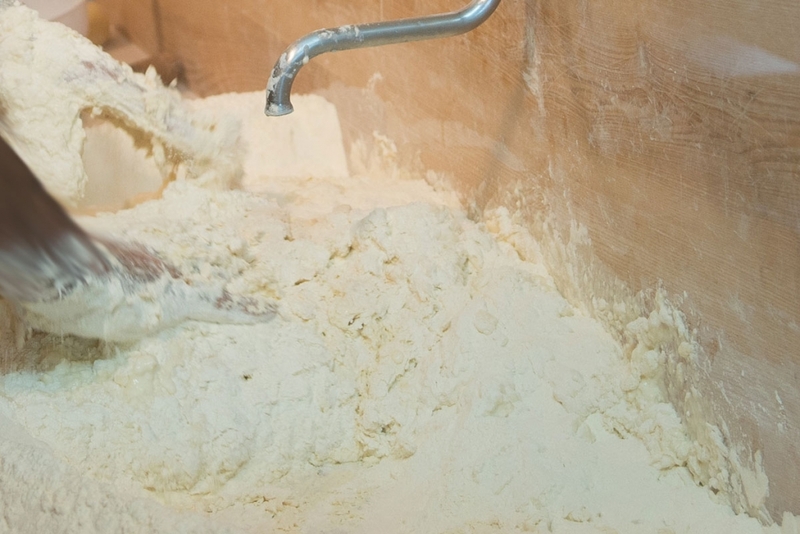 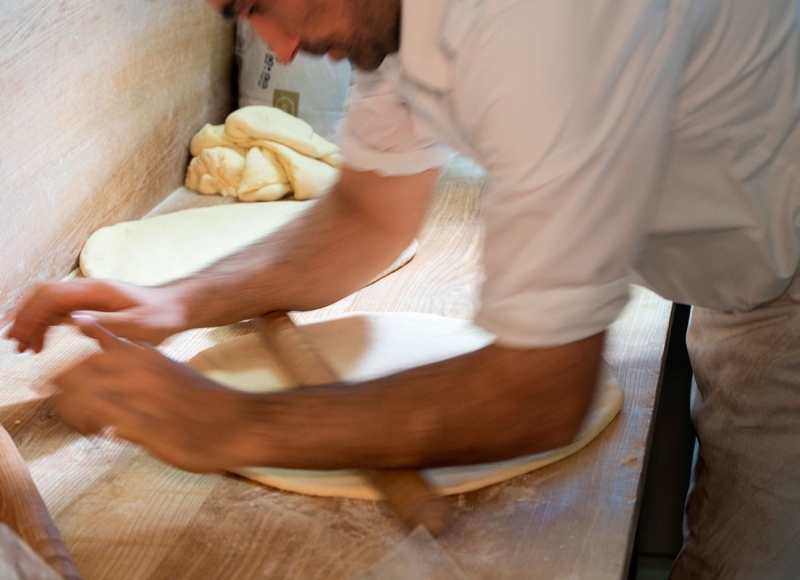 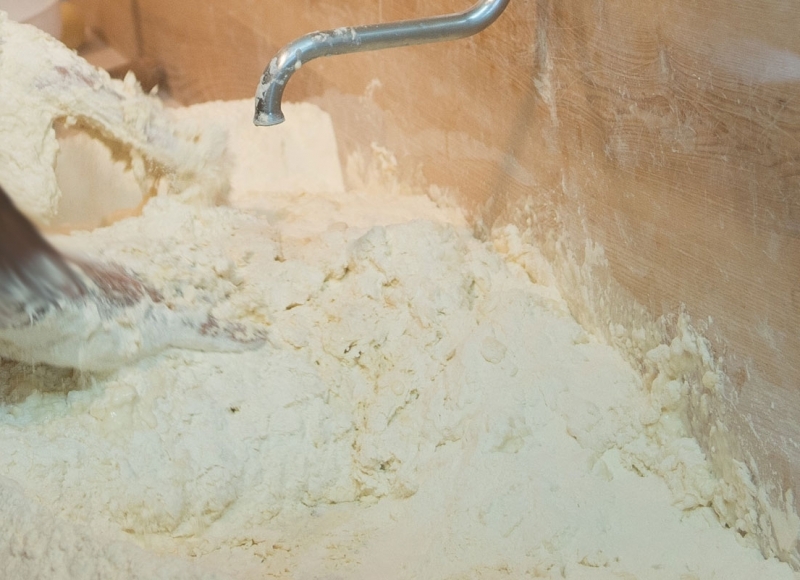 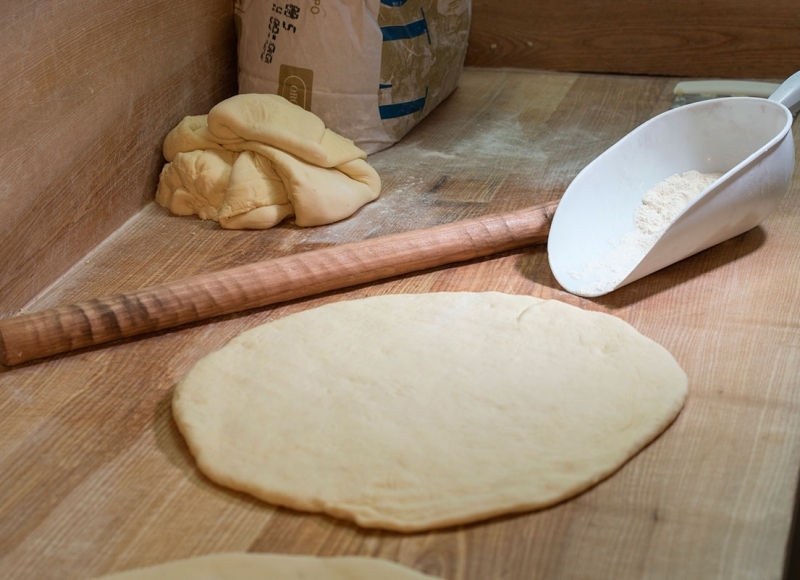 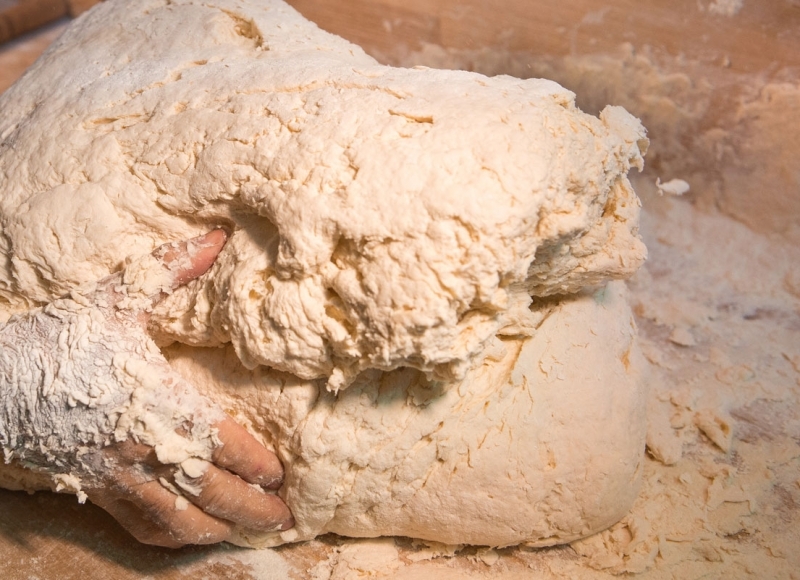 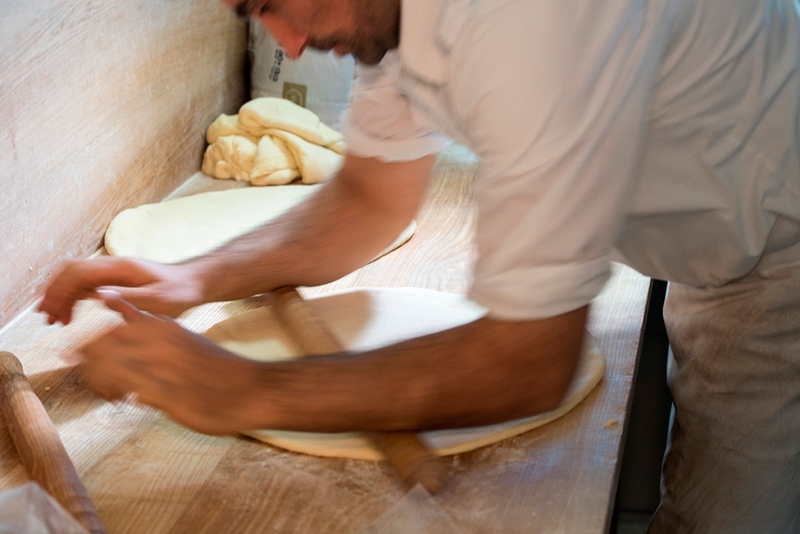 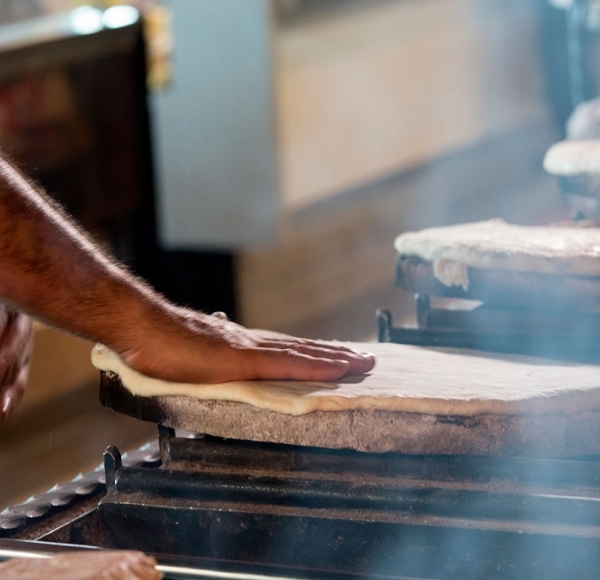 A dense dough, always kneading by hand, is prepared. 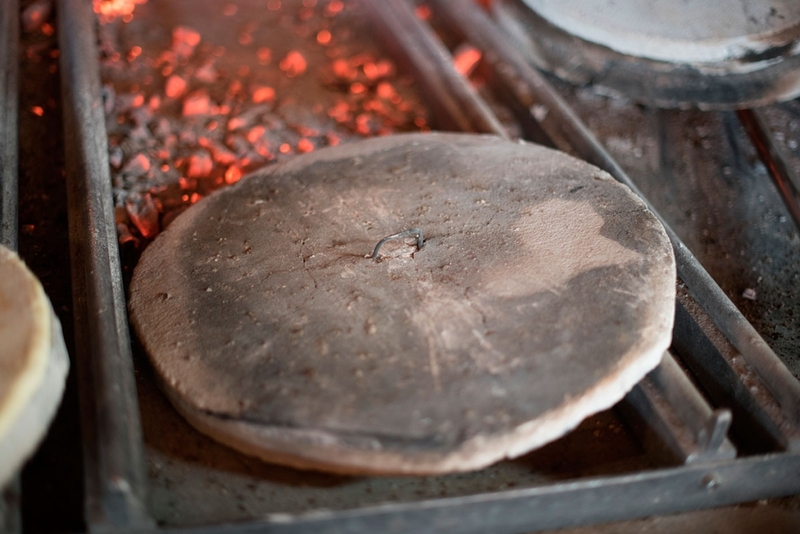 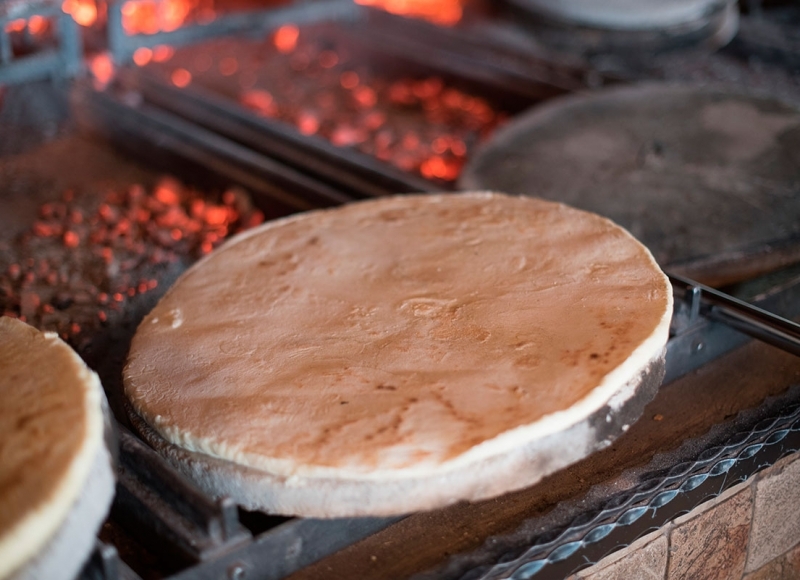 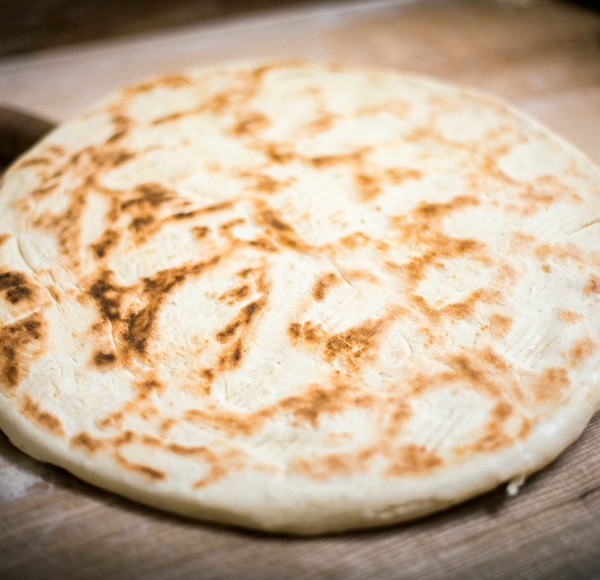 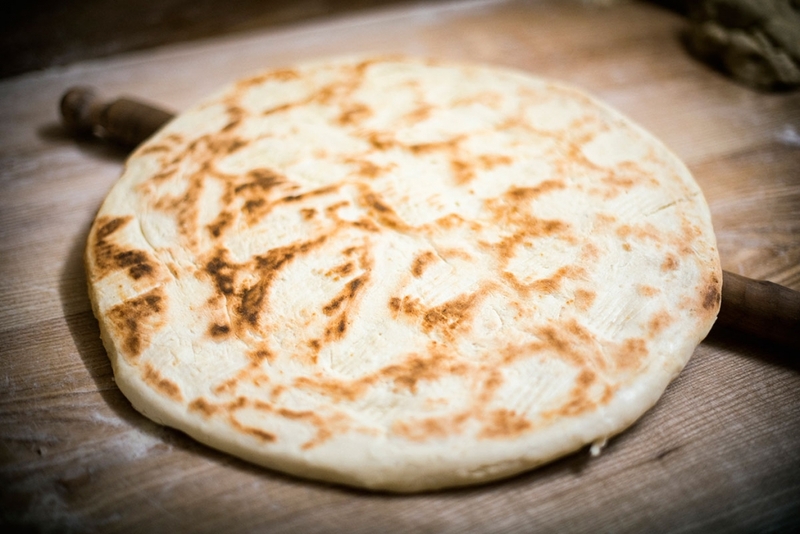 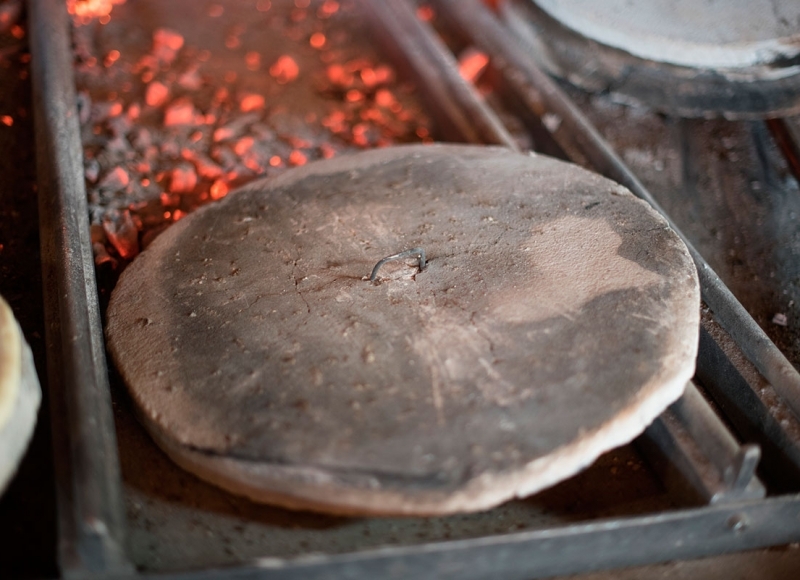 Later on, the dough is smooth out, disc- shaped with a diameter of approximately 40 cm and a thickness of 1 cm. 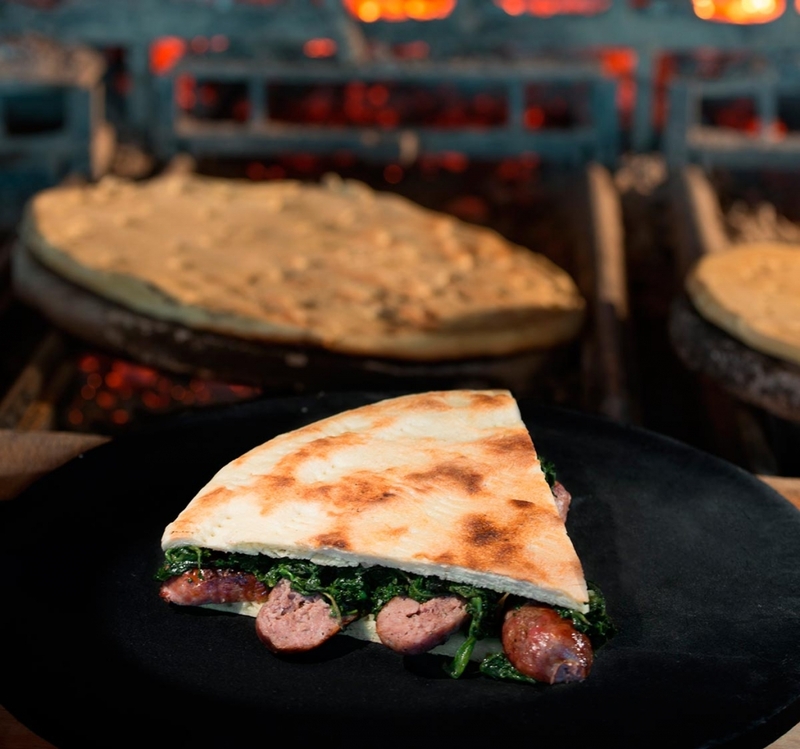 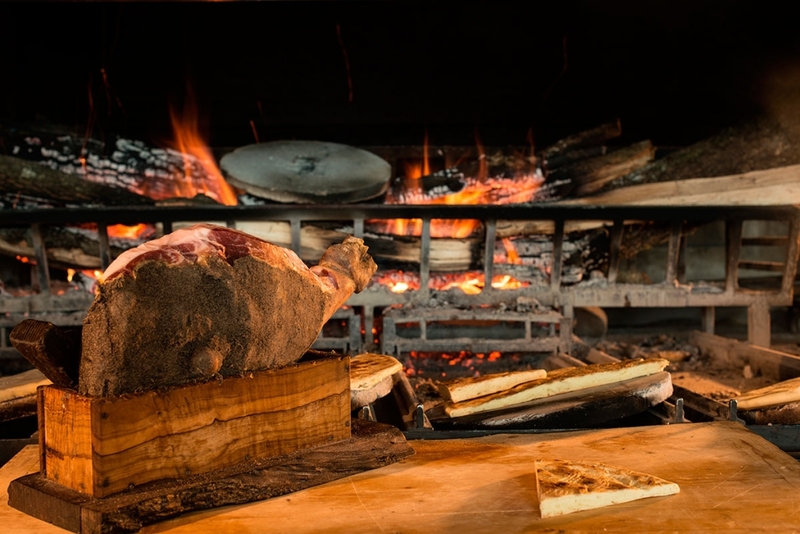 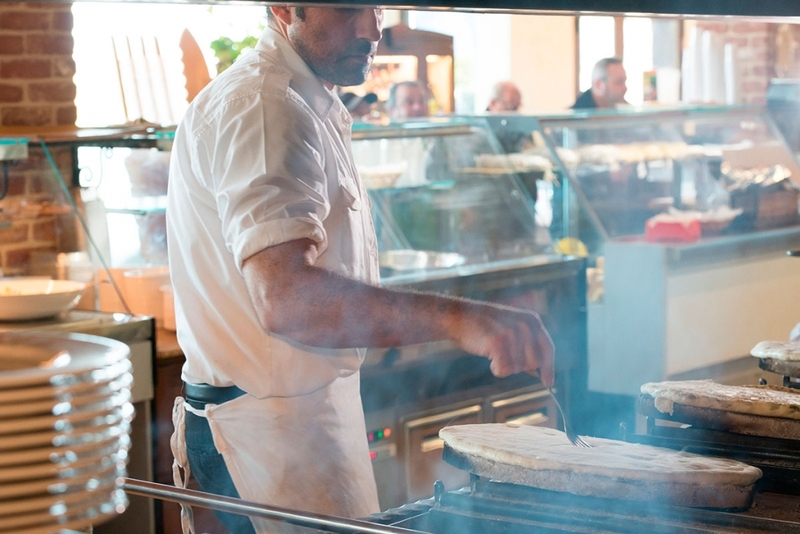 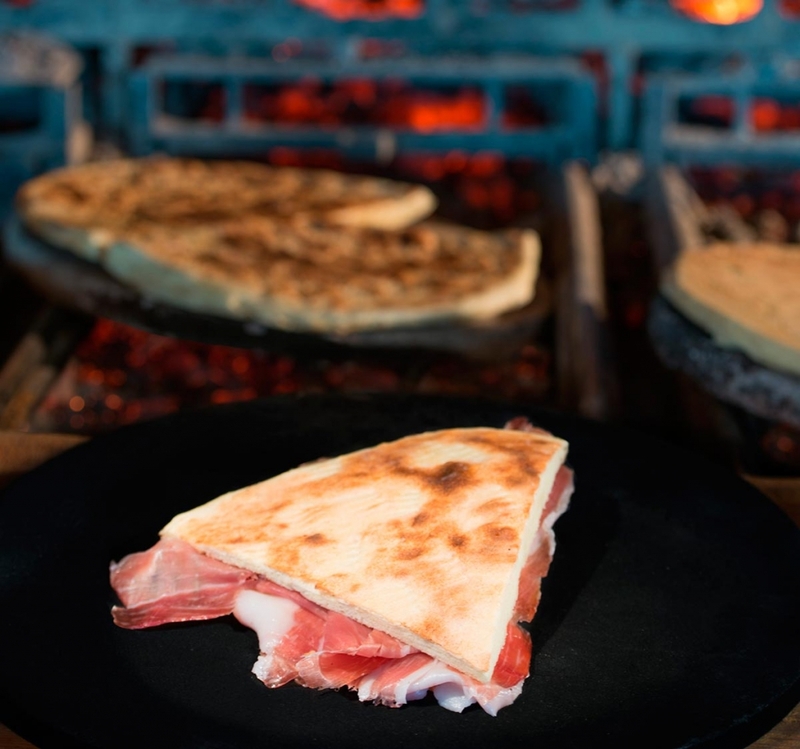 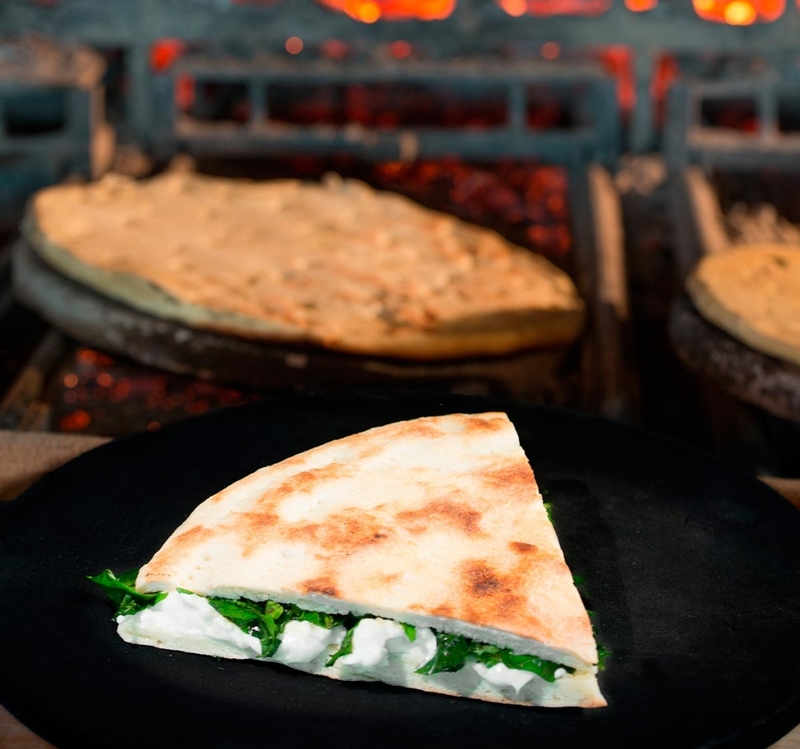 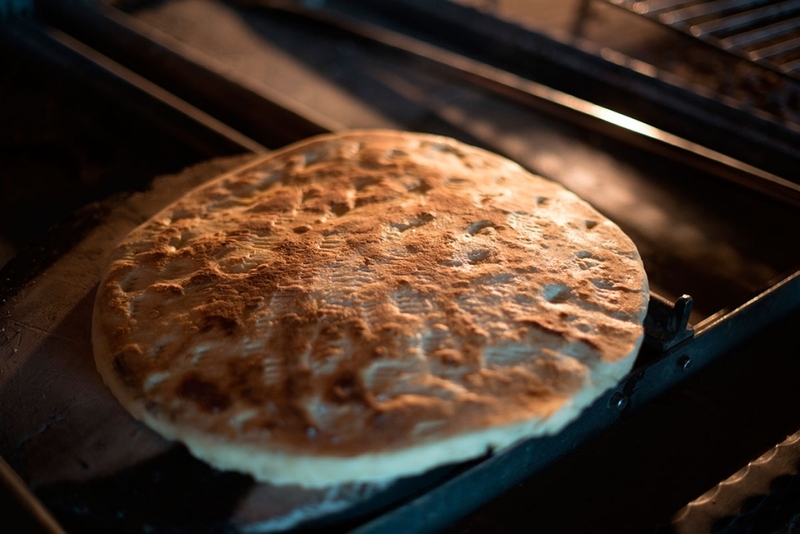 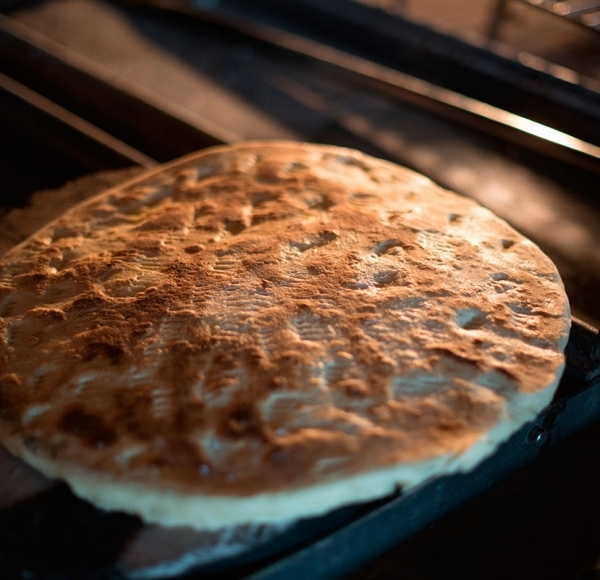 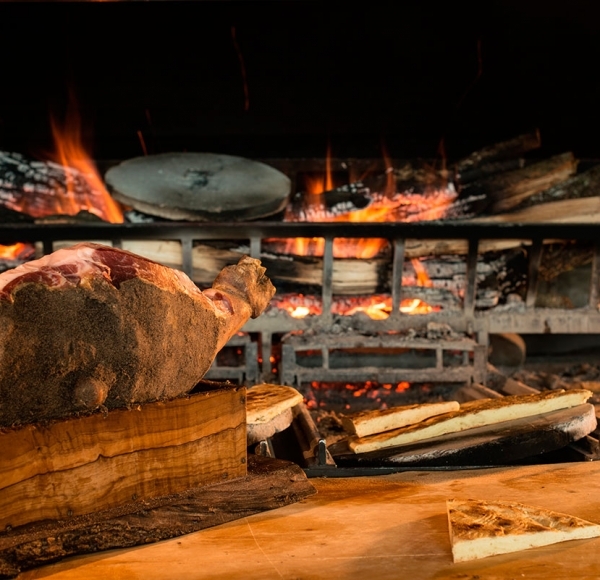 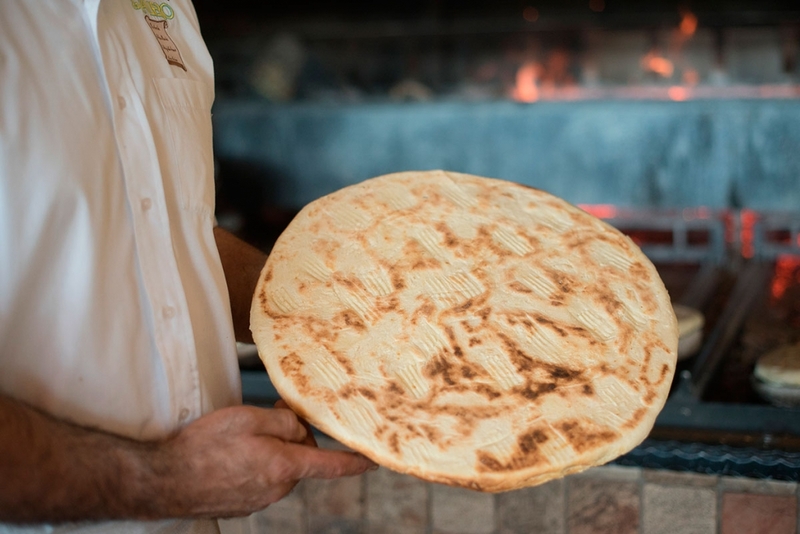 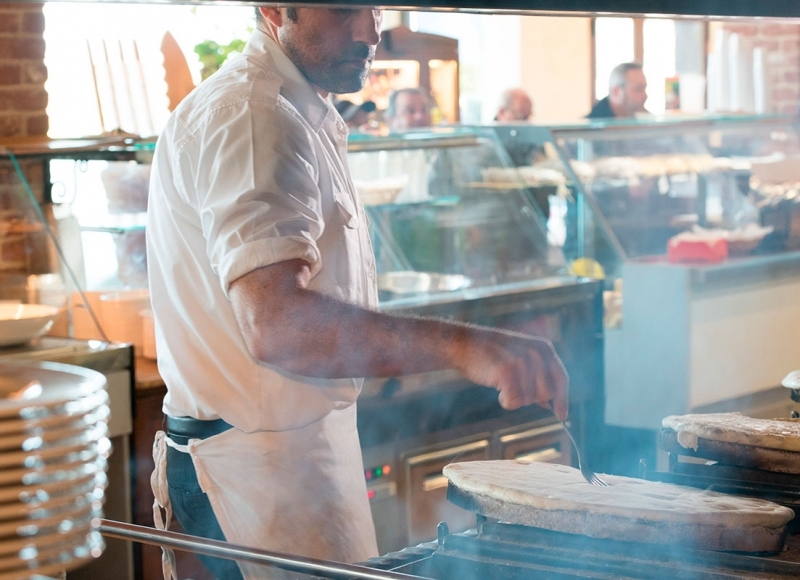 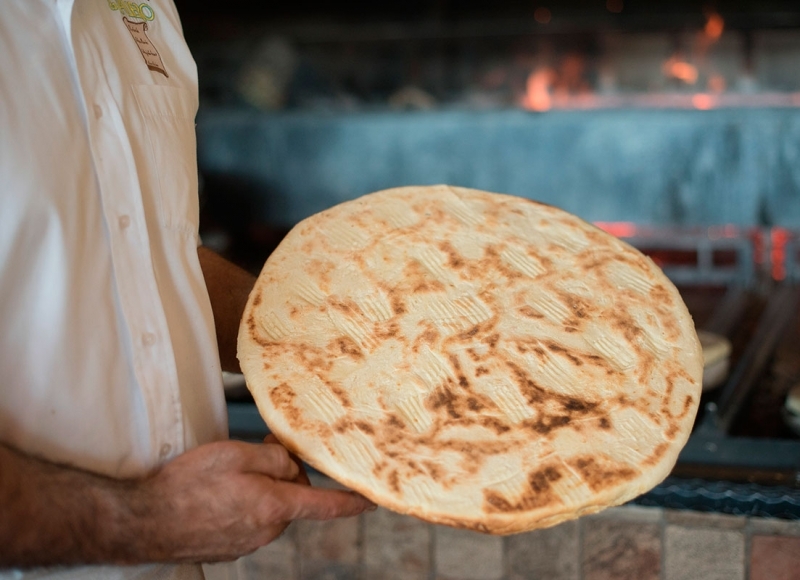 it’s cooked on a hot testo, which is a refractory stone from Etruscan tradition: the torta is ready when the crust takes on a uniform and golden colour. 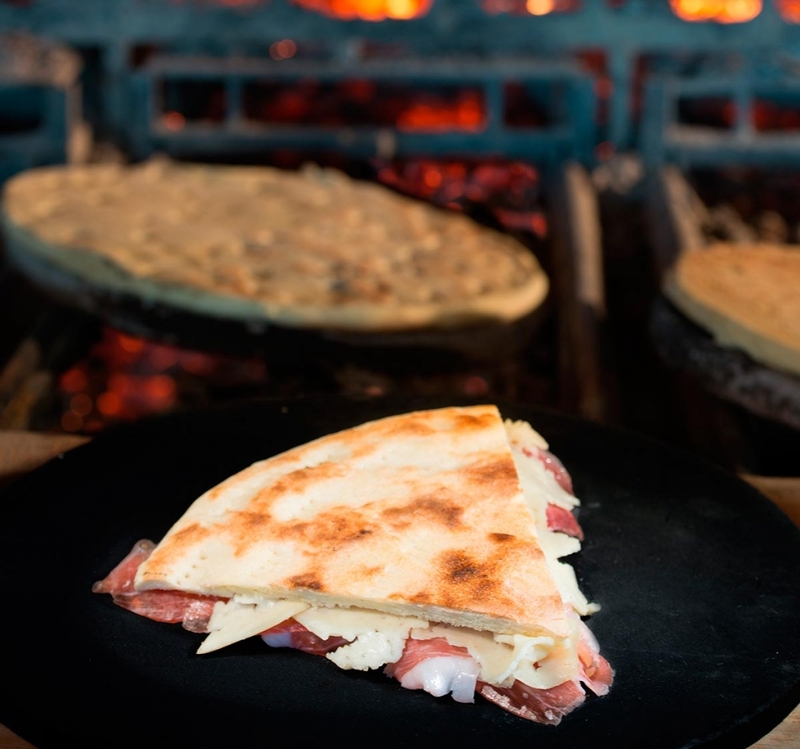 At the end of cooking time, the torta is cut in the middle when still hot and it is divided into eight pieces and filled with various condiments. 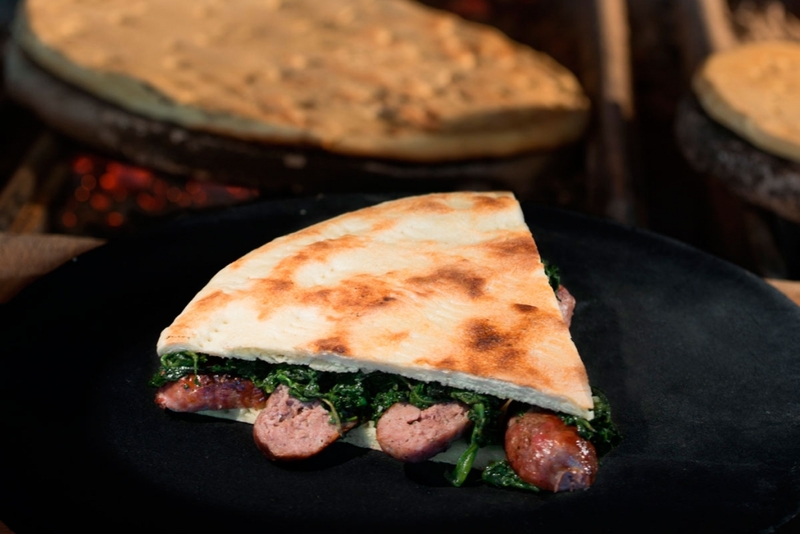 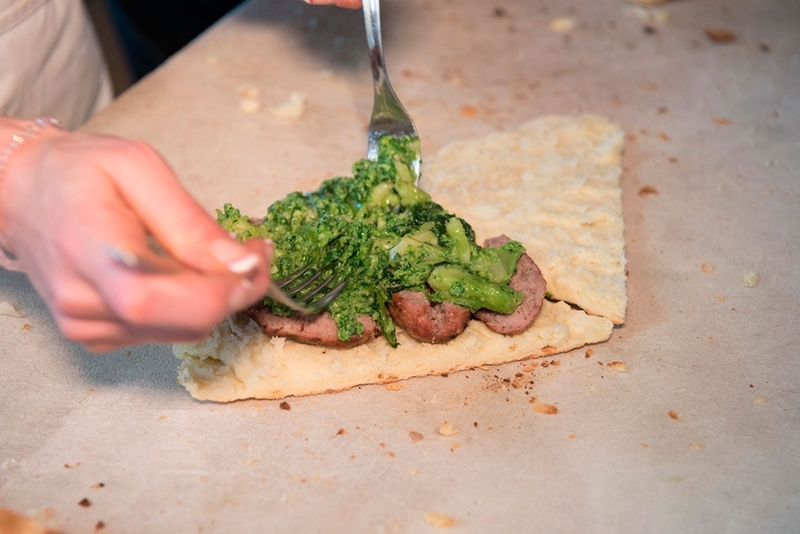 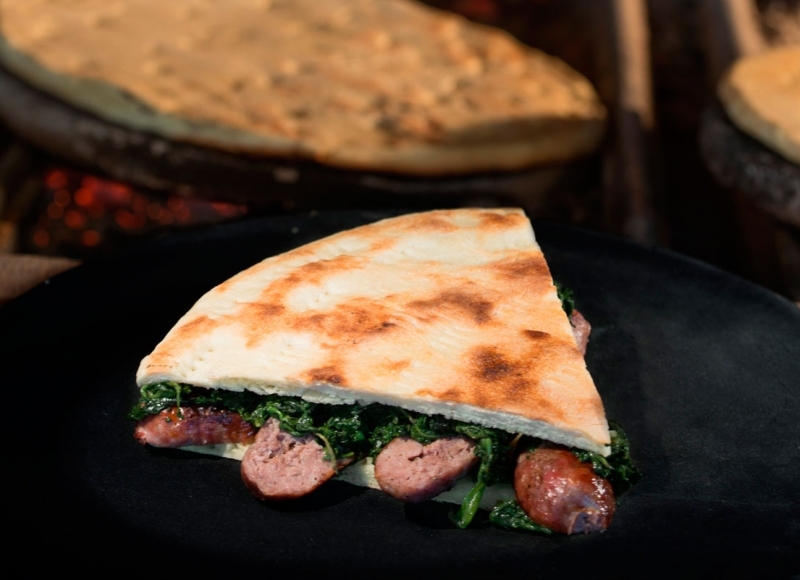 Traditionally, the torta is “happily married” with wild greens and sausages (the classic one) or with our typical and delicious cured meats, cheese, roasted vegetables and much more to discover.